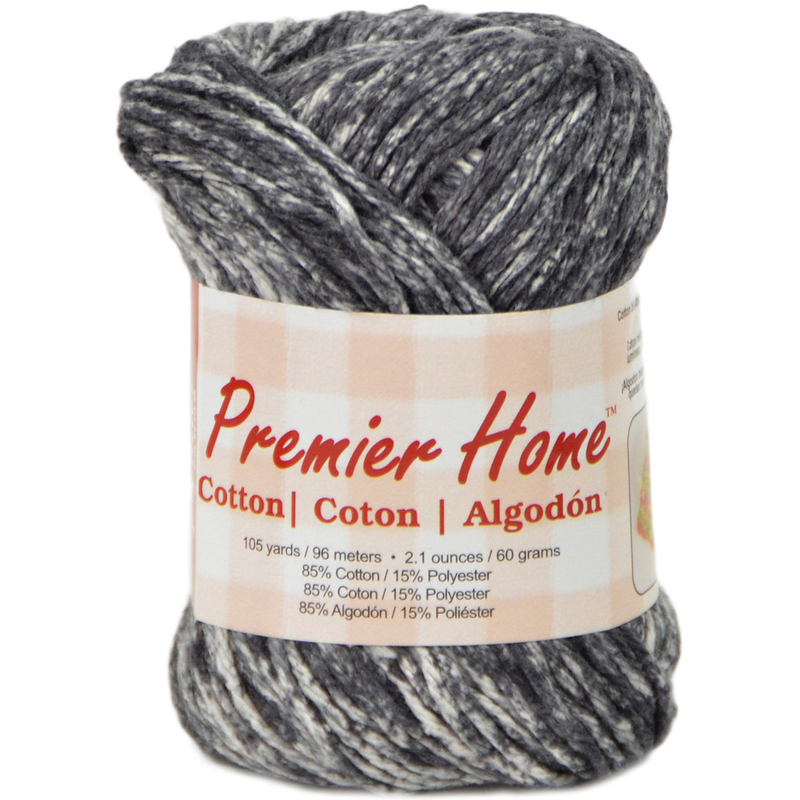 Premier Yarn-Home Cotton Yarn-Multi. This Medium Weight Cotton Blended With Polyester Means Colors Stay Brighter Longer, Finished Projects Dry Faster And Projects Are More Durable To Last Longer! Perfect For Mesh Wash Cloths And More! Weight Category: 4. Content: 85% Cotton, 15% Polyester. Putup: 2.1Oz/60G, 105Yd/96M. Gauge: 18Stx24r = 4In/10Cm On Size Us8/5Mm Knitting Needles. Suggested Crochet Hook Size Us1-9/5.5Mm. Dyelotted: We Try But Are Not Always Able To Match Dyelots. Care: Machine Wash, Dryer Safe, Do Not Bleach, Do Not Iron, Do Not Dry Clean. Comes In A Variety Of Colors. Imported.